Plants vs Zombies (PvZ) 2: Fun For Everyone! Hey guys! 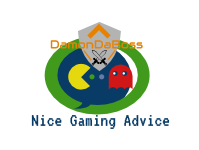 It’s DamonDaBoss from Nice Gaming Advice, with today’s post about the world famous game, Plants versus Zombies (But more specifically, Plants versus Zombies 2). The creator of PVZ 2, and a ton of other great games, is the company called Popcap (check them out if you want to learn more!). Popcap started off really small, until their game Plants versus Zombies started to get big, and then it became one of the most recognized mobile apps out there! I’m saying all this to just say that, this game really is a fun strategy game, with a unique humor and game play. This first picture shown is the first game, and the second picture is from the second game. If you want to know more about these games, and others like it, go to the link above to check out Popcap and its games. This will be it for the introductory portion of PvZ 2. I hope you like it, and come back for more! Don’t forget to like, comment, and follow this blog for updates on your favorite mobile games! Have a nice day, and I’ll see you all later. Hey guys! It’s DamonDaBoss from Nice Gaming Advice, with another post about PVZ 2. This post will be shorter, simply informing you on a pack I just bought for the new Halloween update of the game. Heads up! I’m new at the game, and I’m trying to get better so, bare with me if I act like a new player (I have played this before on my old phone). The pack (as shown below) was a good deal for the plants given, and I thoroughly enjoy using these plants in my battles, as they are money for a reason (they’re some of the best plants in the game). I’m lucky that I was able to get this pack using an I tunes card that I recently bought, as it goes away soon after Halloween ends. For this post I just want to quickly describe what the cards each do, and then I’ll rap up the video. Witch Hazel: Witch Hazel is the most expensive (money wise) part of this plant pack, and for good reason. She is a great plant to use, because she turns any enemy zombie into a puffshroom to fight on your side of the battle. The only downside to her is that she is 200 sun, and it takes her a relatively long time to reload. Jack O’ Lantern: A great card for close combat. The Jack O’ Lantern works well behind defensive plants like any wallnut plant, and it inflicts damage to nearby zombies in its lane by being tapped by the player, after it reloads. It can also hit more than one target at a time with its flames. With the cost of 225 sun, this card can really mow down the lawn, and help defend your once vulnerable lawn. Ghost Pepper: 75 sun, and it packs a punch. The ghost pepper “haunts” enemy zombies in its lane, and after a little while it blows up and damages all nearby zombies (in its small blast radius). The Ghost Pepper is great for taking out groups of zombies, and it won’t fail you… usually. All the other PVZ 2, and their sun cost (and money cost if they are special plants), plants can be seen here. Thanks for reading this post, remember to like, comment, and follow this channel for more updates on your favorite mobile games! Have a great day, and enjoy my other posts!